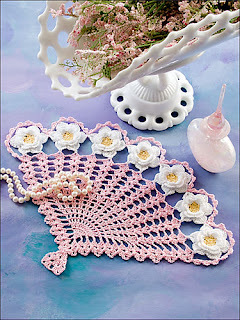 Several years ago I designed a set of doilies for Annie's Attic called 'Vintage Floral Doilies.' 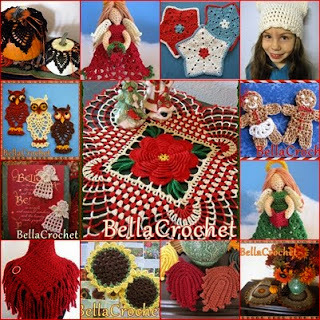 The publishing rights have reverted back to me, and I am now happy to make these patterns available to you for free. 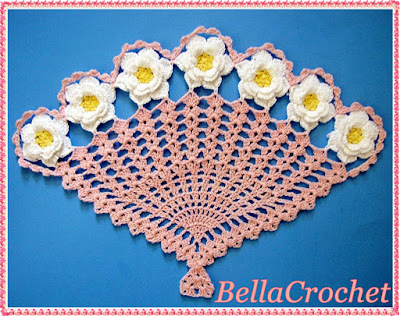 I am adding the doilies in the set to the blog one at a time, and hopefully I will have them all available for you soon. Today, I have a pattern called "Flirty Fan" for you. I hope you will enjoy it! not into any of the dc stitches unless otherwise directed. 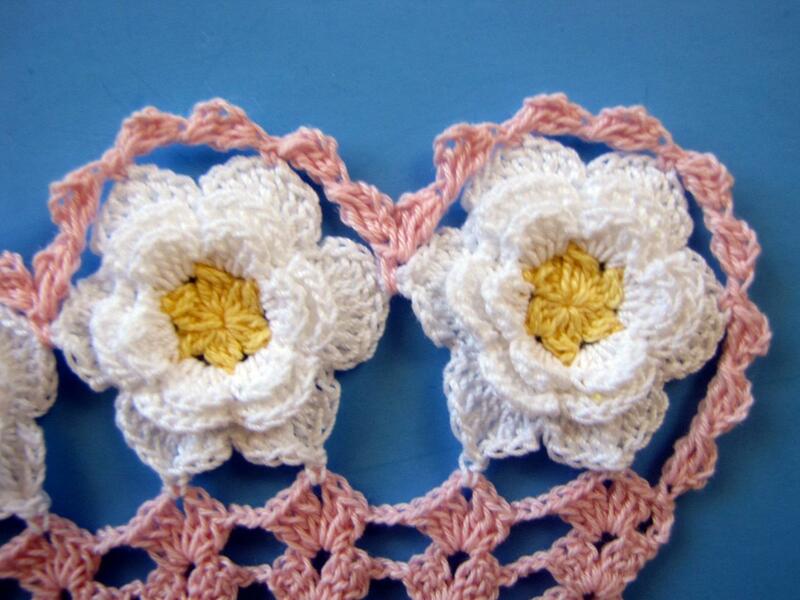 Row 1: With Pink, ch 4, (2 dc, ch 2, 3 dc, ch 2, 3 dc) in fourth ch from hook, turn. in ch sp of last lrg shell, turn. shell in ch sp of last lrg shell, turn. dc, (ch 1, dc in next dc) 11 times, ch 3, lrg shell in ch sp of last lrg shell, turn. of last lrg shell, turn. 11 times, ch 3, skip last ch-3 sp, lrg shell in last shell, turn. ch-3 sp, lrg shell in ch sp of last lrg shell, turn. lrg shell in ch sp of last lrg shell, turn. of next lrg shell) across. Fasten off. times, join with sl st in top of first cluster. Fasten off. join with sl st in first ch of first ch-3. ch 1, sc) in next ch-4 space. For Petal, (sc, ch 1, 3 dc, tr, 3 dc, ch 1, sc) in next ch-4 sp. around, join with sl st in first sc. Fasten off. Rnds 1-5: Work Rnds 1-5 of First Rose. (see photo.) Join in the order that is natural and comfortable for you. C: work Petal in each remaining sp around, join with sl st in first sc. Fasten off. Repeat Next Rose across for a total of 7 roses. For Rice Stitch, ch 4, 2 dc cluster in 4 th ch from hook. When working Edging, refer to photo above for placement of stitches. petal, work 3 Rice Sts, sc in last st of last shell on Fan. Fasten off. 2, 3 dc) in same ch as joining, turn. Row 2: Ch 3, (3 dc, ch 2, 3 dc, ch 2, 3 dc) in ch-2 sp, dc in last st, turn. 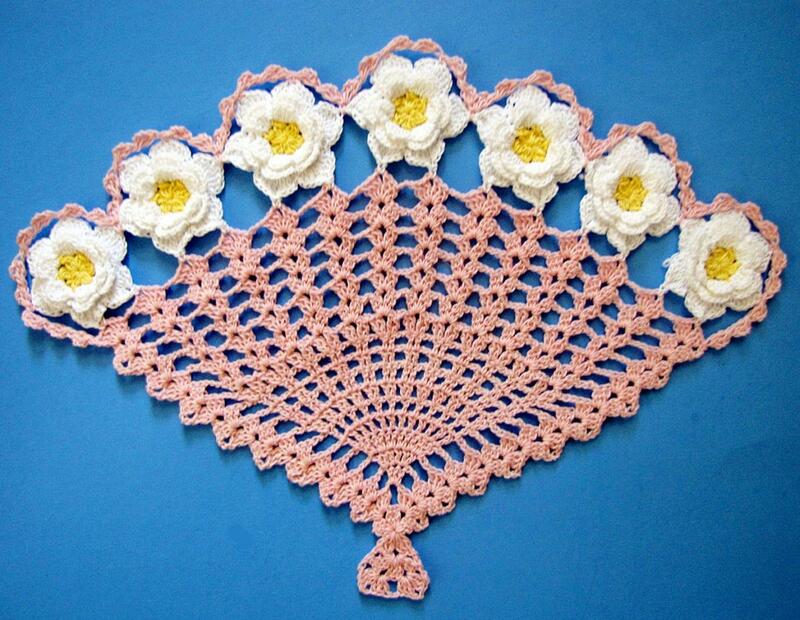 Place doily on blocking surface. Spray with starch, shape and allow to dry. This is the Fan as it appeared in the Annie's Attic publication.